Currently, there is only one complete Conelec EFI car. That car is 1969 Shelby # 1088. During the past year I have dedicated myself to making sure that the original EFI cars will have enough parts. Two original engineering cars have stepped forward and are now under restoration. Each of these cars will receive a fuel injection system in the coming year. This will bring the total EFI cars to three! With the passing of Mr. Long, all of his notes, memos and parts have been transfered to Coralsnake Headquarters. It is my goal to share his unique work with everyone. The best way to do that is by re-building original EFI cars and sharing these unique documents. 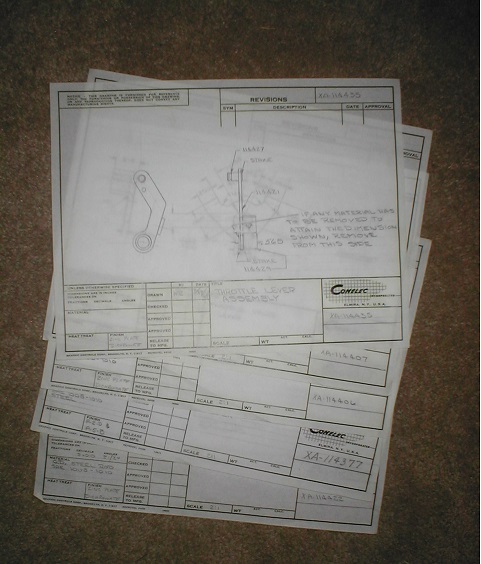 These original blueprints are from Mr. Long's personal files. It is estimated that there are over 2,000 original Conelec blueprints. 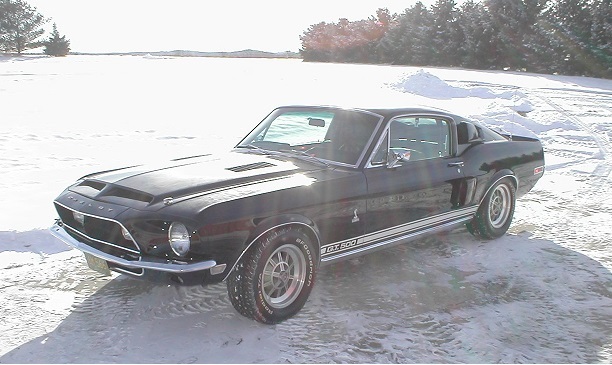 1968 Shelby # 101 has been on the website for a while now. Here it is arriving at Coralsnake Headquarters. The next time you see this car it will look quite different. #101 was an original fuel injection car and may be one of the most significant 1968 Shelbys built. More on that later. There will also be an original 1969 Shelby EFI car that will be rebuilt. This car was also a factory engineering car. That car will be revealed later. A lot of progress has been made so far. With the help of a large team, most EFI components are ready for re-issue.